Reclaimed Hickory is usually very pale and features dark reddish-brown swirls and stripes throughout the wood making it a very exotic flooring material. 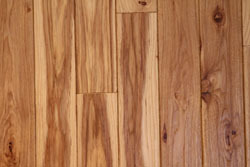 Hickory has a coarse texture and is a very strong (harder and more durable than oak, maple, and heart pine). 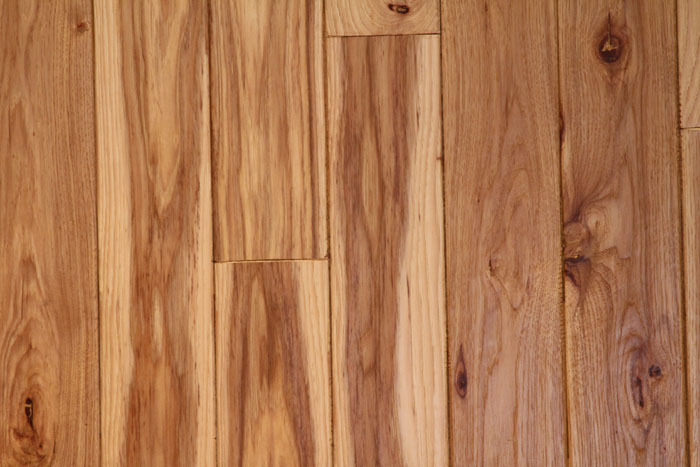 The durability and hardness of reclaimed hickory makes it an ideal choice for a tough and rugged floor that has a high volume of traffic.